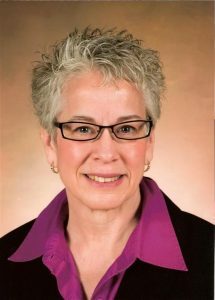 Professor Cripliver has worked in technology education for more than 30 years, applying her skills in public and private educational systems, nonprofits, and commercial enterprises. She holds a bachelor’s in business management, a master’s in curriculum and instruction, and a Ph.D. in MIS (management information systems). Professor Cripliver holds dozens of computer certifications and is a member of the National Center for Women and Information Technology, Project Management Institute, and other national technical organizations. Look for her articles in CERTIFICATION MAGAZINE. She is a subject matter expert (SME) for CompTIA and owns USER FRIENDLY CONNECTIONS, a computer consulting firm. She volunteers her time teaching weekly computer classes at the Maria Reiner Center for senior citizens in Hobart, Indiana.